Shelter. The very word brings us rest and comfort. A roof over our heads. Hearth & home. A place to get out of the cold. A clear-cut divider between the wide world “out there” and a space that’s ours. These are the qualities we attribute to shelter, no matter how primitive, because of its importance to our well-being. After a positive mental attitude, shelter is your highest survival priority. Unfortunately, few know how to construct a shelter that is quick to set up, doesn’t wastefully expend calories, and will truly protect you from the outside world. We’ll show you how. In this 1-day course, you’ll be shown the history of outdoor sheltering, from stone-age wickiups to modern ultralight backpacking tents. 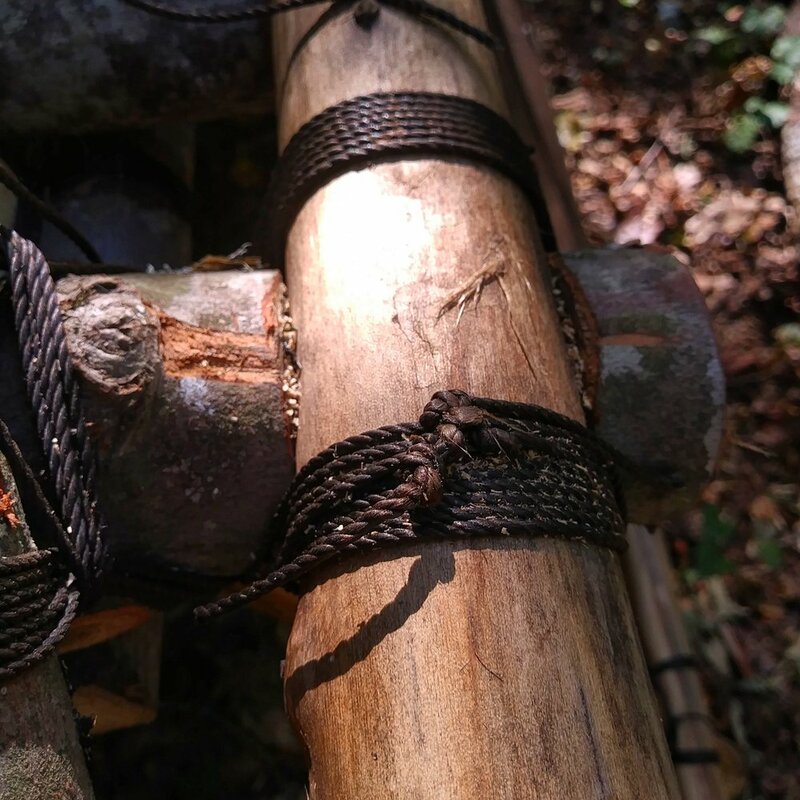 You’ll learn the most efficient ways to construct an improvised shelter in the wild under less-than-ideal conditions, and why most common survival “wisdom” about sheltering may do you more harm than good. And finally, you’ll gain hands-on practice with practical, actionable, easy-to-remember sheltering methods that you can take with you wherever you go. Kau’i Morehead was born and raised on the Hawaiian island of Kauai. He has been proficient in hand-to-hand combatives and mixed martial arts since the age of 9, and was raised with his ancestor’s knowledge of how to live off the land. At age 18, he moved to the mainland and later received his calling to “teach the ancestral skills and live for the Lord,” in his own words. He is a star of Discovery Channel’s Bushcraft Build-Off and works as an instructor for Flint & Steel Critical Skills Group, a nationwide collective of outdoor professionals. He currently resides in Chattanooga, Tennessee.